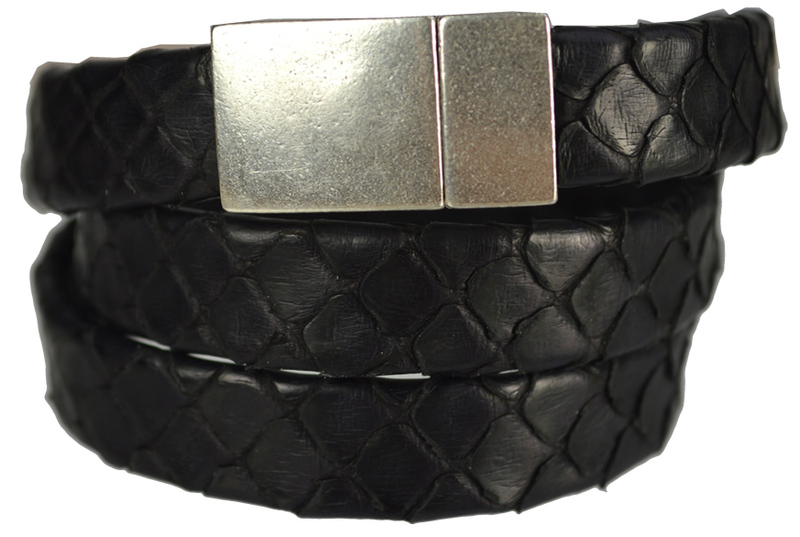 This exclusive leather is made from genuine python skin, harvested in Vietnam. It is available in a variety of colors in three different sizes. Eye-catching and luxurious, it often stops people in their tracks as they pass our booth at shows! The python skin is wrapped around a leather core, so like our other wrapped leathers, this creates a thin seam along the back of the strip. The 10mm flat python leather is a little thicker than our normal flat leather, so may not fit it all of our 10mm magnetic clasps. It works well with L-MAG-8AS.